Soft drinks executives told government officials most shoppers don’t care much about the environmental impact of the plastic drinks bottles they buy, according to documents seen by Unearthed. Coca-Cola, Lucozade Ribena, Danone and Nestle were among those invited to a soft drinks roundtable to discuss the problem of plastic bottle waste and recycling at Defra’s headquarters in October. They told officials: “the environmental impact of packaging was low on consumers’ priorities when buying a soft drink”, according to a note of the meeting obtained by Unearthed using Freedom of Information rules. Plastic pollution, particularly single-use packaging such as drinks bottles, has come under increasing scrutiny in the past year after global concern at the amount of plastic entering the oceans: an estimated 15m plastic drinks bottles are thrown away rather than recycled every day in the UK. The screening of Blue Planet 2 this autumn, which included footage of turtles trapped in plastic debris and albatrosses feeding their young on plastics, has only increased the public concern around the issue. This week environment secretary Michael Gove told reporters he had been inspired by Blue Planet 2 to tackle the issue and wanted to boost recycling rates, cut the amount of plastic in circulation, and to make recycling easier by reducing the number of different types of plastic in common use. Drinks company executives at the October roundtable meeting told officials, including waste minister Therese Coffey, that “environmentally-aware consumers like the idea of less plastic” but others “associate softer bottles with inferior quality”. They added that it “may be easier to address littering than attempt to educate consumers on materials”. The meeting was held under Chatham House rules, where no information is shared on who said what. Consumers tend to say they do care about the environmental footprint of drinks packaging. In September, a YouGov survey for recycling company Veolia found that half of consumers (51%) would choose a new drink in a recyclable container over a familiar one in a non-recyclable container. In 2015, 71% of respondents to a YouGov survey said they would back a small increase in the price of a plastic milk bottle if this ensured it was partly made of recycled plastics and would be recycled after use. 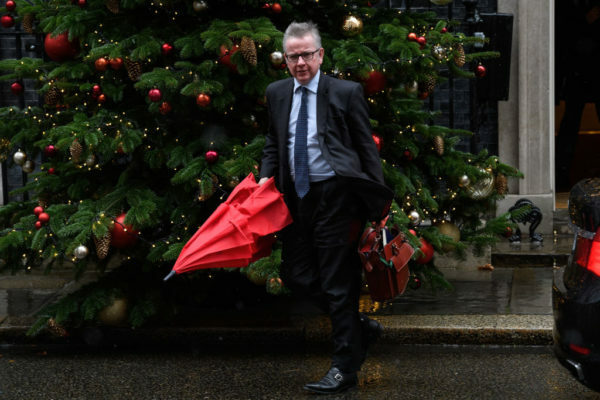 Gove is currently considering whether to introduce a deposit return scheme (DRS), in which consumers are charged a small amount for the container their drink comes in, which is refunded when they return the bottle or can. In February Coca-Cola announced it now supports a DRS, after Unearthed revealed it had previously lobbied the Scottish government against it. At the October meeting, some of the drinks companies said introducing the new system alongside existing kerbside collections could be “confusing for consumers”, who the companies suggested were “more interested in getting rid of the rubbish (convenience)” than in any financial reward. 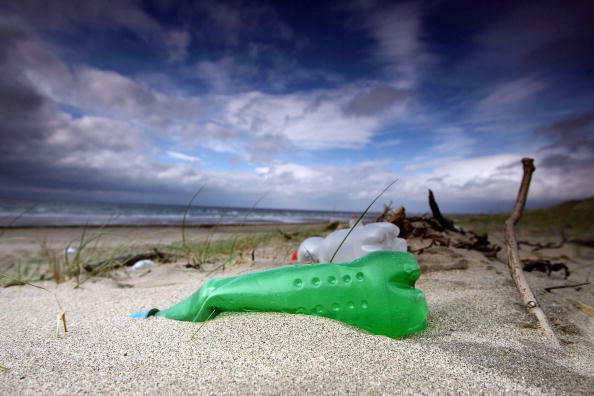 Nearly three-quarters of those polled by YouGov in August on behalf of the Marine Conservation Society said they would support a deposit return scheme. Andrew Opie of the British Retail Consortium, which was present at the meeting, said: “We know how much consumers dislike litter and want to work with the government and others to reduce it.” But he said consumers prefer kerbside collection, which is “already effective”. The Scottish government plans to introduce the UK’s first DRS scheme. “This is clearly new territory for everyone and we will offer our full support in the development and piloting of this scheme,” the Nestle spokeswoman said. A Danone spokeswoman said: “We don’t comment on the details of what was discussed in the meeting. However, we would like to say that Danone supports efficient solutions that lower societal costs and incentivise packaging producers to increase the recycling and reuse of their packaging. Lucozade Ribena and Defra had not responded at the time of publication.